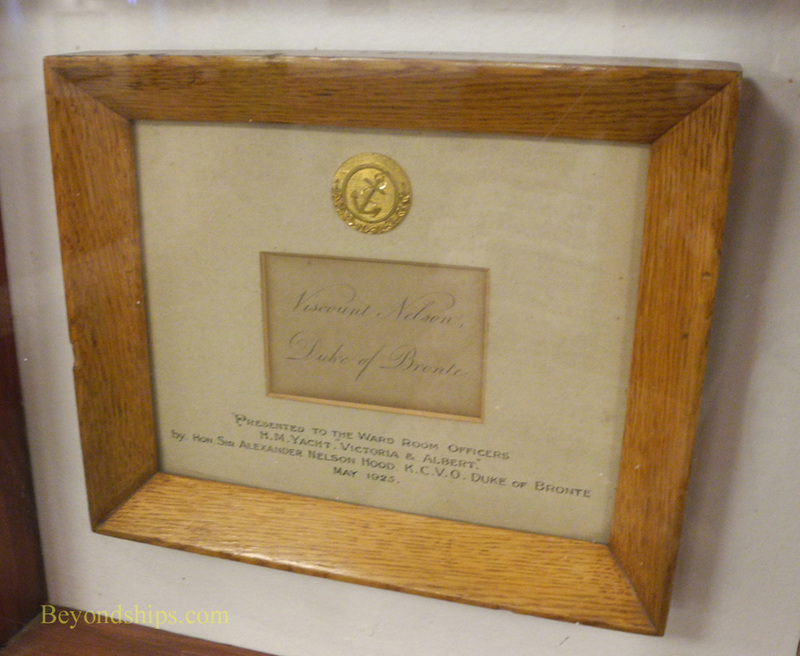 The captain of Britannia actually held the rank of Admiral in the Royal Navy. This reflected the significance of his command. His quarters were among the most spacious on the yacht including a bedroom, bathroom and day cabin, which function as his office and conference room. When the Royal Family was aboard, the Admiral often dined with them, particularly during official events. When they were not aboard, he would dine in his day cabin. 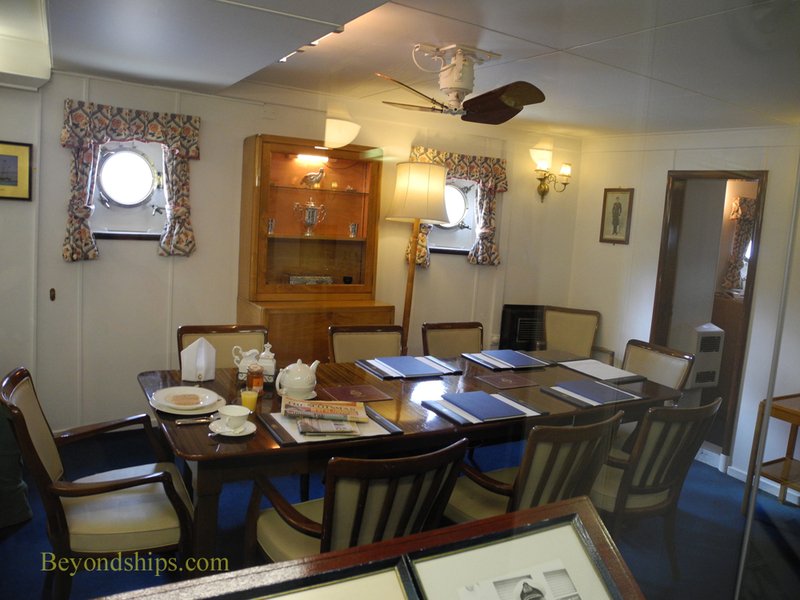 As on many ships, the commanding officer was not a member of the Wardroom and so did not dine with the other officers. However, he could invite others to join him in his cabin. Britannia had a complement of 20 officers. 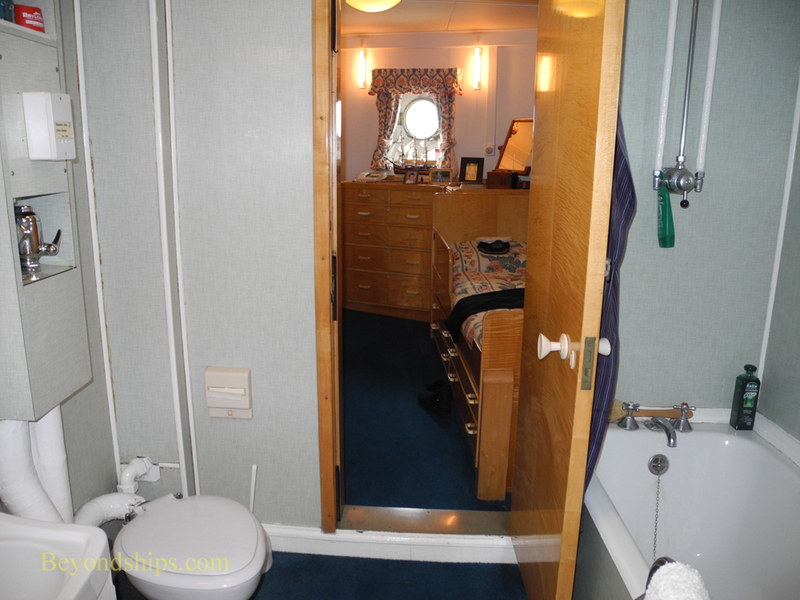 The size of an officer's cabin reflected his place in the ship's hierarchy with the junior officers having less spacious cabins than the senior officers. 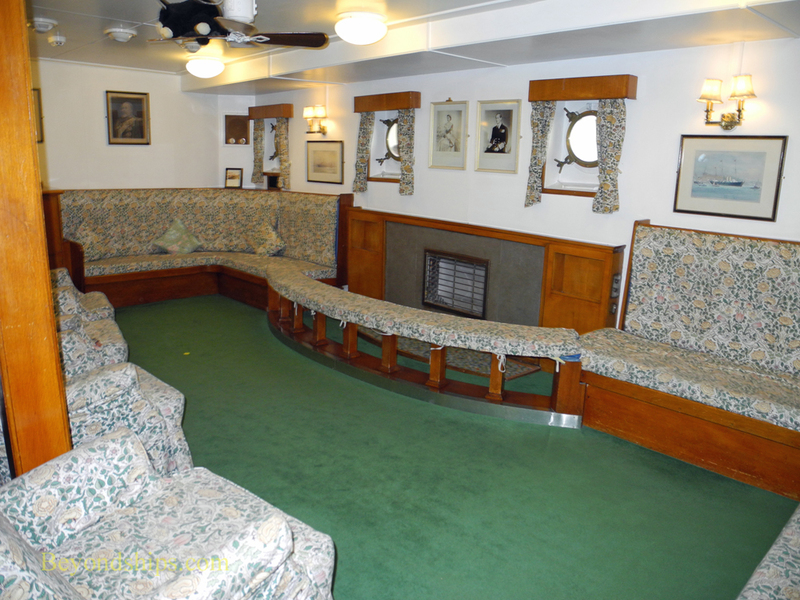 The officer cabins were used as both living quarters and offices with beds that converted into sofas. None of these cabins had its own bathroom. 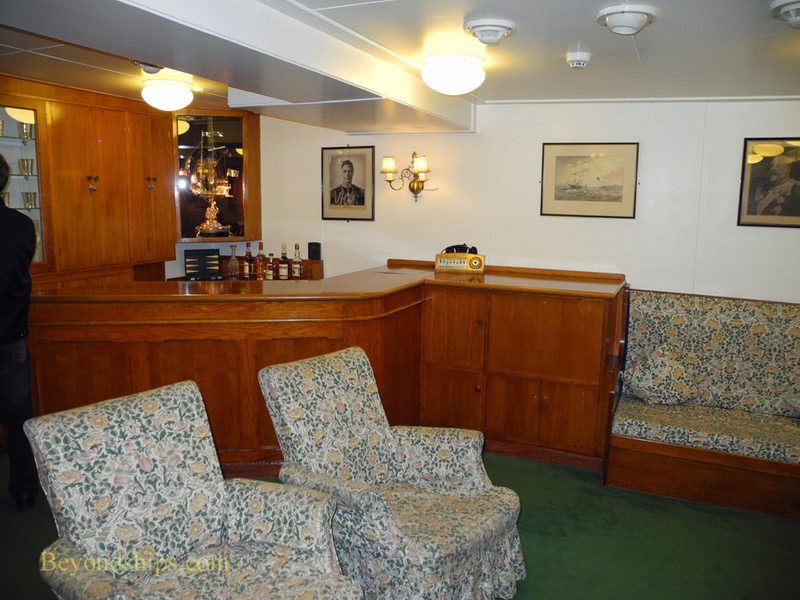 The Wardroom Anteroom was where the officers came to relax when not on duty. This club like room had its own bar as well as considerable space to sit or engage in various games and sporting events invented to relieve tension. 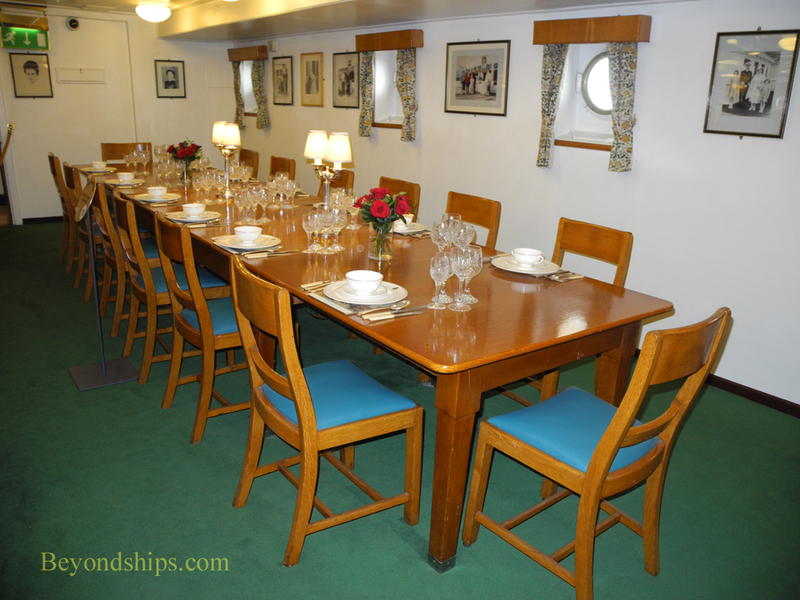 The officers dined together in the Wardroom. This could be a quite formal affair with rituals and tradition.